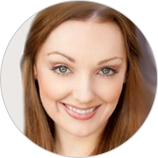 A graduate of the Western Australian Academy of Performing Arts (2005) and the National Theatre Ballet School (2002), Alyssa joins us as a triple threat performer and teacher with an extensive background in the performing arts. Alyssa began her extensive vocal training with Swedish soprano Monique Brynnel and Danielle Matthews before studying under the guidance of Adam Wood at Armstrong’s School of Singing where she is now a valued member of the faculty. Known and respected both locally and internationally, Alyssa has performed in New York with the Ajkun Bballet Theatre and in Japan at the Tokyo Disney Resort. Back on home soil, her professional appearances range from theatre to television. Musical theatre credits include 'The King and I' (The Production Company) and the title role in the national tour of 'Cinderella' (Alpha Shows). Alyssa has appeared on numerous TV shows and commercials including: Ski Yogurt, The Pacific, Rush, and Neighbours. Other notable live performance credits include, 'Dr Who Symphony spectacular' (BBC worldwide and Melbourne Symphony Orchestra) and 'Tomb Raider Anniversary LIVE' as the title character Lara Croft. Starring as a guest artist in numerous local concerts, Alyssa has also professionally recorded a variety of musical theatre classics with MOVE records, accompanied by acclaimed Musical Director and accompanist Adrian Portell. Her teaching experience ranges across all performing arts and previously includes teaching in primary schools and as a performing arts coach for Clubhouze Australia. Alyssa enjoys sharing her passion for singing with new students and helping them to discover the true potential of their voice.